SHIPSHEWANA, IN – Newly-redesigned Connect travel trailers by KZ are experiencing record sales at this spring’s shows, according to Brent Froman, KZ product manager. 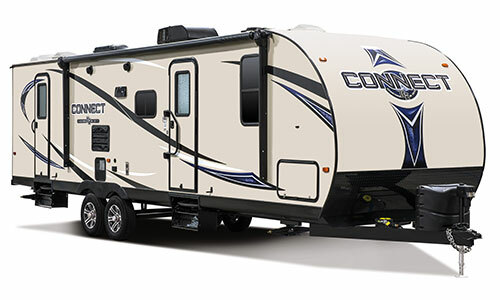 Connect is a 96-inch-wide, aerodynamic laminated travel trailer, offering floorplans ranging from 22 to 33 feet in length. 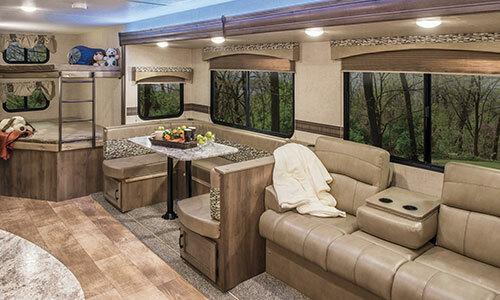 “Early show feedback from our dealers has been excitingly positive,” Froman explained, “with ‘brisk’ being the common adjective used to describe Connect’s sales.” And with good reason; Connect interiors offer gourmet kitchen layouts and living spaces rivaling much larger fifth wheels. Additional features include a standard climate package (insulated, headed & enclosed underbelly), upgraded Equa-Flex® rubberized suspension, sleek, Euro-style Alumitread® entry steps, the popular Key-Alike baggage and entry security system, rear flip-down storage rack, and of course, KZ’s 24-month limited warranty.